The annual music-industry circus known as South By Southwest lays siege to Austin beginning with SXSW Interactive and Film on March 9 and through SXSW Music, which ends on March 18. Complaining about SXSW is the No. 1 past-time of people who attend the festival, from those who pine for the less-hyped old days to those who begrudge the event’s organizers for how they treat performers. Comedian Duncan Trussell—co-host of the podcast The Lavender Hour—falls into the latter camp. SXSW has become a comedy destination in recent years, though comics get the same deal as bands: an invitation to play, but no pay or travel expenses. The full video is below. 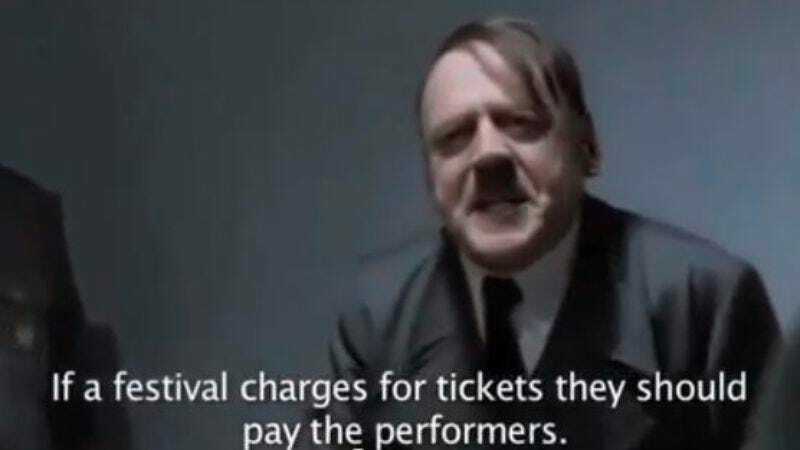 When you’re done, you can also see Hitler also complain about SXSW’s phoniness.